After a full-on week doing the parks in Orlando, most people are exhausted and then need a holiday !! Have you considered staying in a beautiful villa on the Gulf Coast with easy access to a pristine sugar white sandy beach ? The kids would love it and you get get some much needed relaxation sitting on a beautiful beach watching the sun set in the Gulf of Mexico - BLISS !! 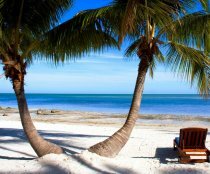 Most beach locations are within a 2 hours drive from Orlando and it is becoming more popular to combine a week in Orlando with a week by the beach. 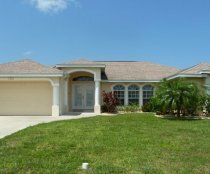 It is very easy to add on a villa rental on the Gulf Coast to your Orlando villa rental - simply book your villa in Orlando and then book the Gulf Coast villa or condo separately direct with the owner. We are available to help you with your planning should you need any assistance. Lovely 4 Bed / 3 Bath (2 master suites) villa situated in Rotonda West in Englewood along Florida's Gulf Coast. With south west facing pool our villa is in a very peaceful location with stunning views overlooking the meandering canal and a nature reserve.